Norton Security features a comprehensive set of tools for finding and eliminating security issues from your device. You can easily sync all your devices running Norton Security to ensure a completely secured digital environment. In order to protect you against data loss, the antivirus program automatically backs up all your data (up to 25 GB) on Symnatec servers. You can access the data later from other devices using Norton Security. The security suite offers protection against a number of security issues like viruses, malware, adware, trojans, hacking, identity theft, phishing attempts, Internet scams, etc. Moreover, it also warns you against accessing fake websites and using unsecure apps on your device. The software features a comprehensive set of parental controls that let you monitor your child’s online activity. The software works perfectly on systems running Windows XP and later versions, for both x64 and x86 system architectures. Norton Security follows a “100% Virus Protection Promise” policy and provides a Norton expert assistance 24x7. 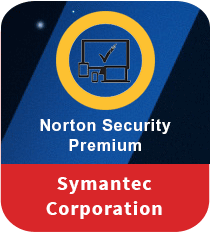 > Complete security package – Norton Security shields you against all major security threats and issues such as viruses, malware, identity thefts, spyware and others. > Continuous online monitoring – The complete security package continuously monitors all your Web activity to disable all phishing attempts and other web-based attempts. > Multi-device syncing – The antivirus program automatically syncs across various devices to ensure a completely secured environment. > Passwords and privacy protection – Norton Security stores and takes care of all your passwords, documents, emails and photos. It protects your important and confidential files against unauthorized access. > Add new devices – The system security program lets you quickly add a new device to your list of synced devices. Norton Security isn’t just a simple antivirus program but a complete security package. Moreover, it features a powerful online security system and automatic back up options. Download Norton Security now to keep your system safe against viruses and potential threats.